Make sure you have the correct plant, and, the correct PART of the plant. Each product that is received at Nature’s Sunshine is sampled. We use a statistical sampling plan that helps us to ensure that what we sample is representative of the whole lot. Most of our products come in powdered form. Each product can vary somewhat. We purchase our herbs from all over the world. 50 – 60% come out of China. Others come from Eastern Europe, South America, Middle East and many other countries. We can’t grow those herbs here, but in the Lab we can thoroughly check out the quality of any raw herb material sent to us from anywhere in the world. Many of the herbs we buy are wild-crafted (harvested in the wild) such as Golden Seal, Parthenium, Echinacea Purpurea, Slippery Elm or Cascara Sagrada. All these are not cultivated. It’s more difficult to identify a plant in its powdered form and most herbs that we get are already powdered. Ginger, Golden Seal and Ginseng look very much alike. 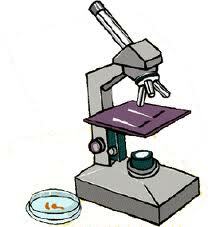 Microscopes are used to see the plant cell structure and identify the characteristics of the herb being studied. For example, starch granules are typical to root products. If, under the microscope, we see Black Walnut leaves with starch granules we ask why. It may mean that they raked up the walnuts, leaves and roots. That happens occasionally. When you buy a certain herb for its leaves, it’s supposed to be everything above ground. What they will do is pull the whole plant out of the ground, chop it up and sell it as leaf. Another example, if we are looking for White Pine Bark and, under the microscope, we see pine needles, we know that they have ground up the whole branch. The desirable bark is contaminated with non-bark material. If your raw product is wrong, then the products you make from it will be wrong. They will not be pure and will not behave in your body as they are supposed to do. 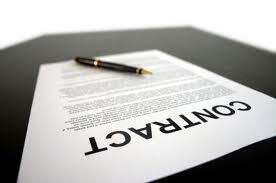 Our contracts with raw product dealers are done this way. In our contracts we insist that if the product does not meet all of our specifications, they get the product sent back to them at their expense. They then have to supply us with new product. If we have to go out on the open market for product, they then have to pay us the difference between the contracted price and what we have to pay on the free market. We had a problem with Golden Seal a couple of years ago. We had to go out into the market and pay twice the normal cost. We work closely with our suppliers and for the most part we have good relationships and they supply us with good quality herbs because they know it is going to cost them if they don’t. Sometimes suppliers are surprised when we catch them selling poor quality herbs because no one else had tested the herbs well enough to catch them before. 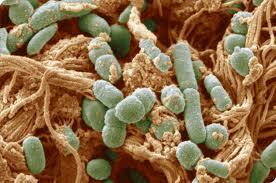 The most common type of contamination is bacterial. Without testing you don’t know if herbs were fertilized with human waste or dried on a barn floor in some foreign country. An herb can look fine under a microscope structurally and it may pass the ash test (no foreign inorganic material or dirt), but micro-biological testing is critical to finding bacteria. E.g. There was a company nearby us who found salmonella in one of their products. To get rid of the problem, they decided to dilute it by putting one batch into ten. They weren’t thinking properly [or ethically! ], because all it takes is a tiny amount of salmonella to get in your stomach and breed to cause food poisoning. E.g. We have had Licorice and other products come in with salmonella, and we reject those contaminated products. We have also had products come in with sewage contamination [Oh yuck!]. E.g. I purchased various products in a health food store to test for bacterial contamination. 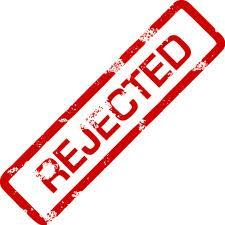 Of the 12 products I purchased, 6 of them would have been rejected by us because of a too high bacterial count. Of the 12 samples I purchased, 4 contained sewage contamination right in the product. People assume that all herbs are purchased from the same place, but that is not true. We buy some herbs from the same company, but we have special sources for many of our products. It only takes one contaminated lot of Licorice Root to contaminate 22 or 23 of our products that contain Licorice. The FDA did a study several years ago. Two of the three products they tested contained salmonella right off the shelf of the health food store. We check and make sure that our products are free from bacterial contamination. Because of accidents like Chernobyl, we also do alpha, beta, and gamma radiation testing, especially for all of our herbs out of Eastern Europe. 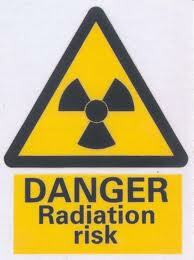 Cesium 137 and 134 were the contaminants released. That contamination is still present there in very high quantities. What some manufacturers did right after the accident, they harvested the contaminated herb and in subsequent years they mixed and blended this contaminant herb with less contaminated herb to just meet the specifications of other companies. Our specifications are very tight, much tighter than the lowest government standards. Because our standards and testing are strict, we have not found any contamination in our supplier’s products, because it is not worth it for them to mix the contaminated with the good. Our machines show the peaks of radiation contamination. Sometimes it’s necessary (but expensive) to freeze-crack an herb. E.g., Mullein leaves are soft and fuzzy and thick because they contain trichomes. When you grind up Mullein (or Red Raspberry for example) the trichomes get disoriented and fragmented, and you end up with a furry mess. You also generate heat, because the material does not easily pass through the grinder. After a period of time in the grinder, if the ground herb goes into a barrel, there will be so much residual heat generated that the herb barrel can catch fire. Of course such heat also destroys enzymes and other valuable nutrients that you would want to preserve. Processing mistakes like this can make a low quality product out of high quality raw material. What we do with herbs like this is freeze them with liquid nitrogen, sprayed onto the herb. The product then is ground and it cracks, actually shatters the herb without generating the damaging heat. Psyllium must swell. When first harvested, the whole seed is taken. The hull is removed at the first threshing and you have a 99% purity of the hulls. Then they thresh 7 more times. They cut the herb and each time the purity goes down. First cut Psyllium is 99% purity. If you buy 7th cut, it’s about 80-85% pure. This is very low. Any company can buy seven different qualities of psyllium. This is very typical of most herbs. You can buy different grades with differing qualities from batch to batch. The brand that works today doesn’t work for you tomorrow. [And as a practitioner I need consistently good quality.] So it is very important that the raw material is tested to comply with our purchase standards. Our purchase standards are that we buy only the best. That is why our products perform the best and having the best is always the least expensive way for the consumer to buy. To check out if the Psyllium swells (absorbs water) like it’s supposed to, we put it into graduated cylinders and measure how much swelling it does. This is the reason that one year we may buy it from Pakistan and another we may buy it from India. We are able to ascertain the quality of various Psyllium raw product dealers and then buy the product that has the best quality. One problem with Golden Seal is that it’s harvested while muddy to get at all the small rootlets. If the plant is not properly cleaned more money is made because the plant is sold by the pound. If you sell a pound of dirt with a pound of plant you get paid for two pounds. If you intensively wash away the dirt you only get paid for one pound. Occasionally suppliers will try to get by with selling an herb without washing it properly. We test for this by burning the herb in a furnace. The herb burns up and what is left is ash residue. This is the amount of foreign matter. E.g. Catnip typically has 10% ash because it has 10% minerals, which are inherent to that product. A couple of weeks ago, eight different lots of Catnip came in with the average amount of ash at 38%. In other words, if the maximum ash we allow is 12%, then 26% was dirt. Needless to say, we rejected the product. BUT, someone else bought it. We use the principle that oil and water don’t mix. We take the herb and put it into two liquids. In one the herb goes to the bottom and any materials such as insect fragments or rodent hairs which float up are skimmed off and checked under the microscope. In another the herb is suspended between two liquids. Such things as metal fragments and animal excrement fall to the bottom. We take them out and examine them under the microscope as well. If we see problems like this we reject the product. We have had product samples come in with as many as 600 insect fragments per kilo. The supplier had an insect infestation and decided to just ground the herbs and insects together [Another yuck!]. If we find any kind of insect contamination we reject the product. We don’t want any contamination. If we did not test for and reject contaminated product we would soon have a problem with live insects in a short period of time. Because insects lay eggs in the herbs, which hatch and live eating the herb, insect contamination could spread throughout the manufacturing plant. A notorious example is Bee Pollen, typically having a problem with wax moths. Needless to say, we rejected the product. BUT, someone else bought it. In each vitamin batch we produce, we check for tablet disintegration and dissolution. Disintegration is the way a tablet breaks down. An article was published some time ago about sewage treatment plant problems. Screens were getting plugged up with tablets – vitamin tablets that passed through people’s bodies and into the sewer – not even breaking down after weeks and weeks. Occasionally a company will suggest that you do the tablet breakdown test at home. They ask you to put their Calcium supplement in vinegar and if it breaks down quickly it is a good product. This is somewhat misleading, because if you use calcium carbonate, which is basically chalk, for your calcium, it does react with vinegar (it foams). This chalk form of calcium is not easily absorbed and is not our choice for use. We use a bone meal source, which is easier for your body to assimilate and use. Because we use an organic bone meal source instead of the typical inorganic chalk-like source, vinegar testing will not show its value. It won’t foam up like the other product does. It is important that tablets break down and that you have the confidence that they will break down in your digestive tract where they are supposed to break down. We’ve had several competitors products that wouldn’t even breakdown after two days in our testing equipment. When we place a product sample in our equipment it actually simulates the movement through the digestive tract of the body. We put it first into a simulated gastric solution, and then through a simulated intestinal solution. Certain tablets are designed to break apart quickly in the stomach, like Food Enzymes. Others are designed to slowly break down over a timed-released period so they become absorbed in the small intestine. There are different methods of making time-release products. An article told of one company, which drilled holes in plastic and packed the product in so that the product came out over time through the holes in the plastic. However many people experienced problems because they were not able to pass these plastic matrices out of the stomach. One lady, after taking these products for a long time, had to be surgically opened to have many of these plastic matrices removed from her stomach. For our time release products we use a special vegetable coating process that makes the layers dissolve off slowly, typically over four hours. The vegetable coating lets the tablet break down a little bit slower each moment, than a tablet without one. We can determine if an essential oil is synthetic or natural, such as Peppermint. Say that Peppermint has 50 active ingredients. Many companies will find the one active ingredient that gives the oil its natural flavor and they make that synthetically. So when you buy the synthetic, you get that one flavor and not the complete array of natural ingredients. You get the smell of Peppermint but it isn’t really Peppermint and does not have the benefits of the real Peppermint. E.g. Tea Tree Oil – of the samples we tested, ours was 2.7 times stronger than the others on the market. That is a significant difference. We’re able to look at 12 different minerals at a time in 30 seconds, such as arsenic, lead, mercury and other toxins. We can also test vitamins for the right amount of Calcium, Magnesium, selenium and the amount of all other minerals too. You can be sure that whatever we say is on the bottle is in there and that it is contaminate free. A recent problem is the high levels of arsenic in kelp. We have close to $500,000 just in lab equipment [This number is much higher now]. We’ve tried to get a wide variety of pieces of equipment. Here is an interesting story. Someone from another herb company called (this herb company is now bigger than ours) and asked for help in setting up a quality control lab. He asked for a list of what to buy, and I asked him how much his company had budgeted for. The caller said $2000! I told him that for $2000 he could buy a mid-range microscope. He said he’d get back with me and he never did. They really still don’t do anything about lab testing. They have the attitude that “herbs are herbs”. We have two liquid chromatographs that are able to check for things like synthetic vitamins and for fillers put in the herbs we receive. We received some Comfrey Root that was full of lactose (very inexpensive milk sugar). Lactose cannot be detected by smell, touch, sight or taste when mixed with the powdered herb, but it can be detected with the liquid chromatograph. Each active ingredient shows up as a peak. The computer will actually name the different active ingredients (including vitamins) that it tests in the sample and give the quantities of each. The size of the peak tells you the amount that is present. If we say it’s a 500 mg Vitamin C tablet, we put in overages, so that at 2 years you will still be at least 100% potency. With Vitamin C, we might put in 140% of the potency we say is in the bottle, so the potency remains in there over time. Variation can be due to growing conditions, harvest time and conditions, storage and human intervention. When I went to a trade show, I paid $27 for one bottle of Golden Seal concentrate. I tested it. It has the same amount of concentrate as we have except that the active ingredients were not there. Another common practice for other companies is to take something like Fennel and extract the oil out of it. They then put a portion of the oil back in. They sell the Fennel as regular fennel with most of the oil gone. They sell the extracted fennel oil too and make money on both. Under the microscope, you’ll see the cellular structure of the Fennel, but you’ll have to do the liquid chromatography to see that it doesn’t have the proper amount of active ingredient in it. We can also compare our herb concentrates to our regular herb. We can see that the active ingredients are actually in the correct higher concentrate in our concentrates and we do this often, on a batch to batch basis. Other companies may concentrate herbs but they don’t really test often enough or at all to see what they actually got and what they are actually selling to you. And you don’t know. We have the testing facilities that can check our liquid extracts and make sure that our extraction process actually got all of the active ingredients from the herb as intended. E.g. Pau D’Arco has at least 31 active ingredients and you need these ingredients to work in synergy. Some studies have tested only a few of these ingredients and have discounted the entire herb’s ability to stop tumor growth (not realizing that the active ingredients work together). This is the case with many herbs: The active ingredients work together! E.g. Foxglove – digitalis. Originally people would chew the Foxglove leaves, and the doctors would have them increase their dosage little by little each day, until they got to the point that they would be sick. Then the doctor would have them cut back just a little bit to the dosage right before they became sickened by the herb. In Foxglove there are other ingredients that help the body know when the dosage was high enough. Now that they have the synthetic, purified digitoxin, and without the other ingredients to stabilize the synthetic there are no warnings to the body and overdose is possible. I’m not recommending using Foxglove, a controlled substance. It’s just a good example of how the whole plant is much different from an isolated, synthesized substance. Your body was designed for the whole plant not the laboratory substitute.